Updated and delivered daily to give your readers the most accurate TV grids available. A staple for any entertainment section, TV Media’s flexibility can provide you with a custom solution for your TV listing page. Showing any channels you need, in any size you want — in black and white or full colour — we use crisp and clear fonts with shading for different types of programs. Delivered daily and updated by the minute, readers can get the information they want at a glance. We can bring your entertainment section to life by adding sidebar content like daily sports, the day’s best TV choices or the hottest movie information. Our editors are continuously processing TV schedules. We work hard to bring you the most up-to-date listing information. 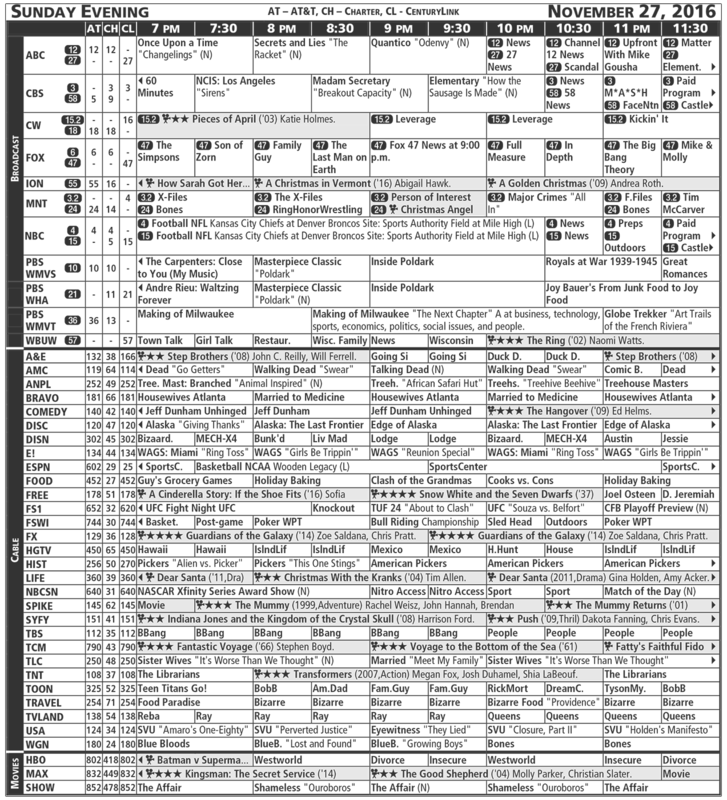 TV grids can be sent to you daily as PDF, EPS, or any other format you need. If you have a challenging layout, get in touch! Considering switching your daily TV grid provider? Send us a message and ask about TV Media’s competitive pricing. TV grids are made available every single day. You can download from TV Media’s easy-to-use website, or have us upload files to a location of your choice. Get in touch with our production department to make sure your book and grids have the channels you want and lists what your readers watch. TV Media’s designers hand-pick crisp fonts and customize shading so our daily TV grids are accessible and easy to read, something your readers will truly appreciate.